Electronics Costs > How Much Does a Breathalyzer Cost? A breathalyzer will allow you to determine the blood alcohol content by examining breath simply by blowing into a device for a few seconds. 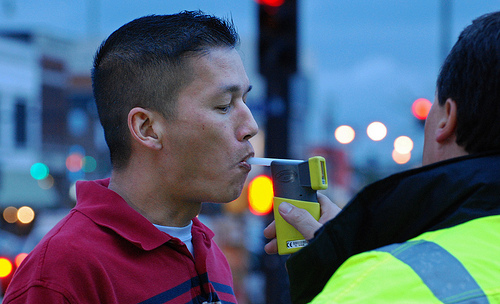 For professional breathalyzers, such as one the police department uses, can range from $125 to as much as $500. For personal breathalyzers, however, the price can vary from $5 to $125. The smaller keychain breathalyzers, for example, tend to be less than $25, while a portable device, designed for personal use, will be less than $100. In general, if you purchase a professional breathalyzer, which uses fuel cell sensors, it may cost you more than its personal counterpart, which uses semiconductor sensors. The professional breathalyzers are much more accurate, which makes them more expensive. Some of the reasons for this are that semiconductors fail to show an accurate BAC for diabetics and those on a low-calorie diet; if they are used repeatedly for a very short period of time, one is most likely to see the same result in case of semiconductors; in case of a high concentration of alcohol in the blood, semiconductors fail to show results precisely. The highest rated breathalyzers on Amazon.com, for instance, retail for $15 to $40. Amazon’s Choice, the BACtrack professional breathalyzer retails for close to $130. A typical breathalyzer has a mouthpiece to test the breath and a cell sensor technology to fuel the machine for testing. Personal breathalyzers will use semiconductor sensors while professional breathalyzers will use fuel cell technology. While the professional type is more accurate and reliable, the personal breathalyzers will at least give you a good idea of whether or not it is safe to drive. A breathalyzer will not detect the blood alcohol concentration, but rather, it will measure the concentration in the breath. This number is directly proportional to the amount of the alcohol in the blood, however, and is an accurate measure to go by. Accessories such as mouthpieces and software may be needed, and this will all depend on the make and model of the device. Mouthpieces often come in bulk packs that range from $0.50 to $1 per piece. This helps to keep the breathalyzer sterile, especially if more than one person is using it. Semiconductors show results up to hundred decimal places, whereas the fuel cell show results up to the thousand decimal places. Always test if the breathalyzer you are going to buy is FDA cleared or not. If it is FDA cleared, that means the Food and Drug Administration has reviewed the product for information and accuracy, and that the product is “safe and effective” for the use by consumers. If you plan on using this device occasionally to test your BAC before hitting the road or for something else, it is highly recommended that you invest in a professional version. It is best to spend that extra $50 to get a device that you know will be reputable and accurate. Consider looking for refurbished or used models online. eBay and Craigslist are great places to start looking. However, most experts warn that it is always best to buy new. If purchasing online through a store, do not forget to check for coupon codes.